The Center for Healthcare Economics is happy to announce that it is funding a Summer Grant proposal by Dr. Jamin Speer this year. His project is entitled, “The STEM Leaky Pipeline for Women: Implications for Health Professions.” Dr. Speer is an Assistant Professor here at the University of Memphis. He specializes in Labor Economics and the Economics of Education. Dr. Cyril Chang was a Professor of Economics at the Fogelman College of Business and Economics, where he was also the Director of the Methodist Le Bonheur Center for Healthcare Economics. He was a vital part of the Department, College, and University for 37 years. He has retired, effective January of 2019. We in the Department will miss him, but wish him the very best in his retirement. Until a replacement is found, Dr. William Smith, Chair of the Department of Economics, will serve as Interm Director of the Center. Dr. Chang is now a Professor Emeritus of the University of Memphis; Dr. Smith will rely upon his guidance in managing the Center. All tenure-track and tenured faculty are eligible to submit proposals, except for new faculty members who will receive summer research support as a condition of their employment. Consistent with the mission of the Methodist Le Bonheur Center for Healthcare Economics, the research proposal must address a pressing health care issue that results in the improvement of population health and/or healthcare delivery in Memphis, Tennessee, and beyond. Topics for research should be consistent with mission and objectives of the Center for Healthcare Economics. Receipt of this special summer research award does not preclude external grants and contracts as long as the University guidelines for summer compensation are observed. Grant recipients are eligible to teach one summer course, depending upon enrollment demand and summer budget availability. All proposals for summer research grants are due in the office of the Department of Economics in Room 400 by Monday, March 18, 2019. Submit One (1) cover sheet with the project title, name of proposer(s) and collaborator(s) and a brief budget outlining how to allocate the award. The investigators can request summer compensation, research expenses or both. The name(s) of the proposer(s) appears on the cover sheet and is not to appear elsewhere in the document to facilitate a blind review of the proposal. Consult the College Summer Research Guidelines for additional information on proposal format requirements. Three (3) hard copies of the titled proposals should be submitted; electronic submissions will not be accepted. All grant recipients must submit a report summarizing the results of their grant activity by the end of finals week of fall semester 2019. A 3-member evaluation committee will rank the proposals and make recommendations. The recipient of the health care research award(s) and the College Summer Research Awards will be announced at the same time. Eligible faculty may apply to both a College Summer Grant and a Health Summer Grant, provided that they have different topics; they may not submit the same topic to both. Newly appointed Assistant Professors receiving summer support from the College may not apply for a Health Summer Grant. The recipients can use the special award to pay for research expenses or for summer pay. If a recipient elects summer pay, the salary paid will be less than the awarded amount as external awards are subject to a UoM fringe benefits charge of 37.1% by University policy. 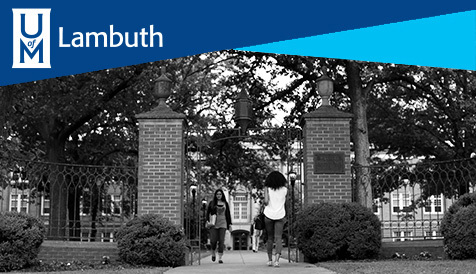 If you have any questions, please contact Dr. William Smith at 901.678.3675 or email wtsmith@memphis.edu. Dr. Cyril Chang, the Director of the Center of Methodist Le Bonheur Center for Healthcare Economics, published an op-ed article on the opioid crisis in the Memphis Commercial Appeal. The Center of Methodist Le Bonheur Center for Healthcare Economics awarded a summer research grant to Dr. Marla Royne Stafford for her project, “Understanding Adolescents Responses to Cyberbullying: Coping and Dealing with Their Emotional Health.” The Center of Methodist Le Bonheur Center for Healthcare Economics thanks the ad-hoc selection committee for reviewing the proposals and for its recommendations. Do you know how much uncompensated care is provided by hospitals, clinics and physicians in Tennessee? What have been the recent trends of this care for which providers receive no payments? For these and other related issues, please read a recently released Health Care Policy Blog titled, “Uncompensated Care in Tennessee: What Are the Costs? ” by David Mirvis and Cyril Chang. MLCHE now has several topic-based mailing lists, including alerts for new publications. Please visit the Contact Us page for more information and to sign up. What does the MLCHE do? Your first step starts here! Stay connected with our research-active faculty. Click here to see some of our most recent publications. Learn more about the people that compose the MLCHE!